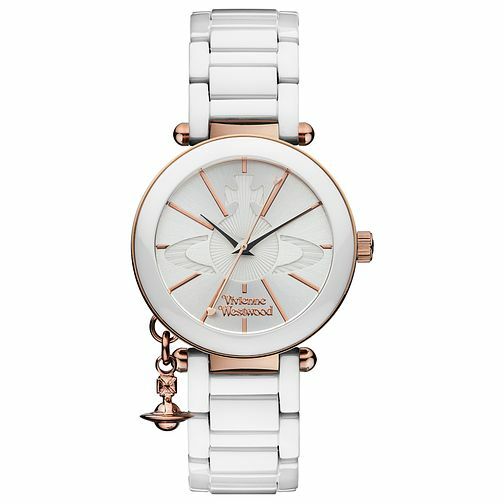 Known for her modern and bold aesthetic, this beautiful Vivienne Westwood Kensington watch is just the daily glamour, the modem day woman needs. This watch features a charming bezel engraved with the iconic Vivienne Westwood orb logo, wonderfully offset by rose gold accents. The watch is effortlessly finished with an Orb charm. Vivienne Westwood's distinctly British style has been loved by many for its mix of refined elegance and deep symbolism.